This event is mainly announced for declaring the company’s plan regarding the Windows 10. And what the Windows 10 can do shortly. The new updates for Pro4 might also release on this day. Many more announcements can be made on this day as this event is organizing after so long by the company. 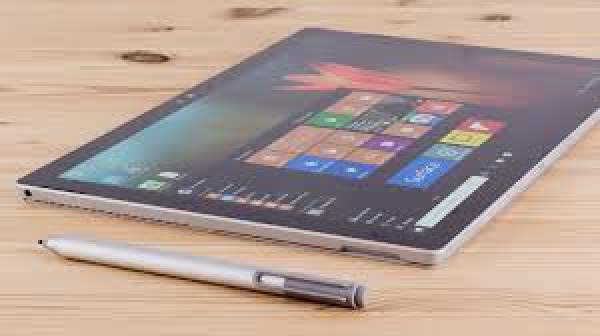 Talking about the specifications of Surface Pro 5, the device comes in three size variants which include 27 inches, 24 inches, and 21 inches devices. It is said that the Microsoft SurfacePro 5 is rumored to pack a robust battery with an amazing 16 MP primary camera and 8 MP secondary shooter. The device may be coupled with Intel’s 7th generation Kaby Lake processor which will be coupled with 16 GB RAM and USB Type-C port. The new USB Type-C port fastens the data transfer and also the charging speed of the gadget. It is said that a pen will be attached to the product magnetically and it will take an Alkaline AAAA battery. There will not be any wires to charge the pen. The screen may come in 2K resolution and 4K resolution for the one who can spend money on display. Over the release of Pro5, it is said that in the upcoming event on 26 October, Microsoft will be announcing the product. The other reason why date seems to be the release date of Pro5 is that Pro4 was released last year in the same month by the company. Some websites are claiming that the customers need to wait till the spring of 2017 for the launch of the product. The price of the Pro 5 is unpredictable. The Pro 4 was initially priced at 749 pounds. Also, a discount of 150 pounds was announced after few weeks. It is said that the Pro5 will be in the same range as that of Pro4. Rest about the price and other details of the Pro5; you need to wait for the release of the device. Pro4 was an incredibly successful gadget by Microsoft, and the company is expecting Pro 5 to achieve greater heights.